Ms. Laura A. Zubulake has published an account of her experiences as the plaintiff in the groundbreaking “Zubulake case.” The book is entitled Zubulake’s e-Discovery: The Untold Story of My Quest for Justice. According to Shepard’s, the first decision in that string of decisions, Zubulake v. UBS Warburg, LLC, 217 F.R.D. 309 (S.D.N.Y. 2003), has been cited 760 times. Ms. Zubulake’s book, however, provides a different perspective. Written from the bird’s eye view of a lay-plaintiff, it reads like a “whodunit,” presenting an unfolding picture of the e-discovery process from the plaintiff’s chair. The Zubulake Case: For those unfamiliar with the five published decisions, Ms. Zubulake was a highly-compensated Wall Street executive. When denied a promotion, she filed an EEOC complaint asserting gender discrimination. She was then terminated and claimed retaliation. In discovery, her former employer failed to produce electronic information which Ms. Zubulake knew and believed existed. Rulings on the resulting motions defined a number of key principles involving the triggering, scope, implementation, and monitoring of the duty to preserve electronic information (“ESI”), and sanctions for spoliation. The decisions are also notable for, among other things, the process of sampling of data on backup tapes and the related cost-shifting analysis. The case was tried over two weeks, resulting in substantial compensatory and punitive damages. It settled prior to appeal for an undisclosed amount. Smoking Guns: Generally, in civil litigation “[e]ach side must trust that the other has not withheld or destroyed the proverbial smoking gun.” Clear Value, Inc. v. Pearl River Polymers, Inc., 242 F.R.D. 362, 384 (E.D.Tex. 2007)(subsequent history omitted). It has also been suggested by James Layton, Esquire, that “[s]moking guns will not look like smoking guns in the files of someone who knows what he is doing.” Ms. Zubulake chronicles how she located important withheld and destroyed evidence; made sense out of seemingly innocuous email; and, describes how it was then used at trial. And, while one of the significant aspects of the litigation was the adverse inference instruction to the jury, jurors reported in post-trial interviews that the instruction had little, if any, impact on them. When the Court’s cost-sharing decision was announced, her 25% share came to $40,000, “a staggering sum for an unemployed person,” while UBS Warburg’s share was $120,000, a small fraction of its resources. Nevertheless, she concludes: “Perversely, I believed [UBS Warburg’s] size was its Achilles heel” Given the verdict – $20 million in compensatory and $9 million in punitive damages – that analysis of one impact of asymmetry is noteworthy. It was this survival mechanism that exposed the weakness in UBS Warburg’s discovery protocol. Ms. Zubulake’s Document Request No. 28 “asked for all documents regarding any communication by, between, or among [UBS Warburg’s] employees mentioning or concerning me.” “Document” was defined to include electronic information. Lessons for Lawyers: For attorneys handling e-discovery, the book is illuminating: “E-discovery requires thinking beyond convention.” For example, Ms. Zubulake discusses the use of an interdisciplinary strategy by emphasizing the value of her unique knowledge of the niche industry involved, the international equity desk on a Wall Street trading floor. She explains: “No one knew key players, events, and practices like I did.” The need for that interdisciplinary approach, and inclusion of “business people” in the process, is now well-established. See Wm. A. Gross Const. Assoc., Inc. v. American Mfrs. Mut. Ins. Co., 256 F.R.D. 134, 135(S.D.N.Y. 2009)(“This case is just the latest example of lawyers designing keyword searches in the dark, by the seat of the pants, without adequate (indeed, here, apparently without any) discussion with those who wrote the emails. Prior decisions from Magistrate Judges in the Baltimore-Washington Beltway have warned counsel of this problem, but the message has not gotten through to the Bar in this District. . . . [A]t a minimum [searchers] must carefully craft the appropriate keywords, with input from the ESI’s custodians as to the words and abbreviations they use. . . .”)(subsequent history omitted). Advocating for the Human Touch: For example, one of the key emails used to demonstrate actual knowledge by the defendant was a reply message that stated only “received, thanks,” and a first name. Ms. Zubulake notes that “[t]his new, three-word e-mail appeared innocuous. However, it provided a missing link” by acknowledging receipt of a facsimile transmission of the EEOC complaint: “The Court later ruled that although the three-word e-mail seemed insignificant in isolation, it was actually quite important.” It “strongly undercut” UBS Warburg’s claim that a key person did not know of the EEOC complaint. This is, of course, why Jason R. Baron, Esquire, a leader in search methodology, has suggested that “[t]here is no ‘one size fits all’ way to effective search methodology. . . . What is required is a review of available options and analysis of the cost in proportion to what is at stake in the case, with thought given to any shortcomings of the software,” and quality assurance techniques to review false positives and negatives. J. Baron, et al., “Designing a ‘Reasonable’ E-Discovery Search: A Guide for the Perplexed,” in M. Berman, et al., eds., Managing E-Discovery and ESI (ABA 2011), 491-92. The “What Ifs”: Despite the successful verdict, the book points to many “what ifs” Due to limited resources and nascent technology, many stones were left unturned. Mobile and home devices were not searched. Nor was voicemail or social media reviewed. Selected tapes were unavailable for restoration and “[t]here were [available] back-up tapes that were not restored and never searched.” Predictive coding was not used. In short, the case left Ms. Zubulake to “wonder, what would I have learned if I had discovered all relevant, lost emails”? In spite of this doubt, Ms. Zubulake concludes that, “[a]lthough my methods seemingly date back to the Stone Ages, they sufficed.” She notes that “[w]hat worked for me in 2003 might not be appropriate for the current environment.” In Jason Baron’s words: “What may pass for a reasonable search [today] may be viewed in a few years hence as insufficiently comprehensive or missing a key ingredient. . . .” J. Baron at 496; see M. Berman, et al. “Has Indexing Technology Made Zubulake Less Relevant?,” (ABA Tech. for Litigators). A Detailed Account: At points, the book goes pretty deep into the weeds. As such, it requires a great deal of attention. The factual presentation is complex, with great detail. On the other hand, this was a lawsuit where the devil was in the details. Ms. Zubulake properly describes the importance of the five published Zubulake opinions. As The Hon. 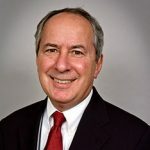 John M. Facciola recently noted: “[W]hen it was finished, Judge Scheindlin, who presided, would forge a revolution in how courts consider and resolve” e-discovery issues. J. Facciola, “A History of Electronic Discovery,” in M. Berman, et al., eds., Managing E-Discovery and ESI (ABA 2011), 17. Nevertheless, six years later, The Hon. Shira A. Scheindlin, author of the Zubulake decisions, wrote: “Once again, I have been compelled to closely review the discovery efforts of parties in a litigation, and once again have found that those efforts were flawed. As famously noted, ‘[t]hose who cannot remember the past are condemned to repeat it.’” The Pension Committee of the Univ. of Montreal Pension Plan v. Banc of America Securities, LLC, 685 F.Supp.2d, 456, 462 (S.D.N.Y. 2010), quoting George Santayana, Reason in Common Sense, Vol. 1 of The Life of Reason (1905) (Prometheus Books 1998 at 82). Despite the “abundantly clear” guidance of the Zubulake decisions, and while Ms. Zubulake correctly concludes that her case “transformed the legal industry and the discovery phase of litigation,” many issues persist. While that argument was not limited to UBS Warburg’s e-discovery failures, it described them. In the words of Justice Cardozo, “[e]very new case is an experiment.” B. Cardozo, The Nature of Judicial Process (Yale 1921), 23-24. “Nothing is stable. Nothing absolute. All is fluid and changeable.” Id. at 28. Ms. Zubulake’s lawsuit proved that. Laura A. Zubulake, “Zubulake’s e-Discovery: The Untold Story of My Quest for Justice” (CreateSpace 2012)(©Laura A. Zubulake). This post is reproduced with permission from Digital Discovery & e-Evidence, 12 DDEE 311, 08/02/2012. Copyright © by The Bureau of National Affairs, Inc. (800-3732-1033) http://www.bna.com. 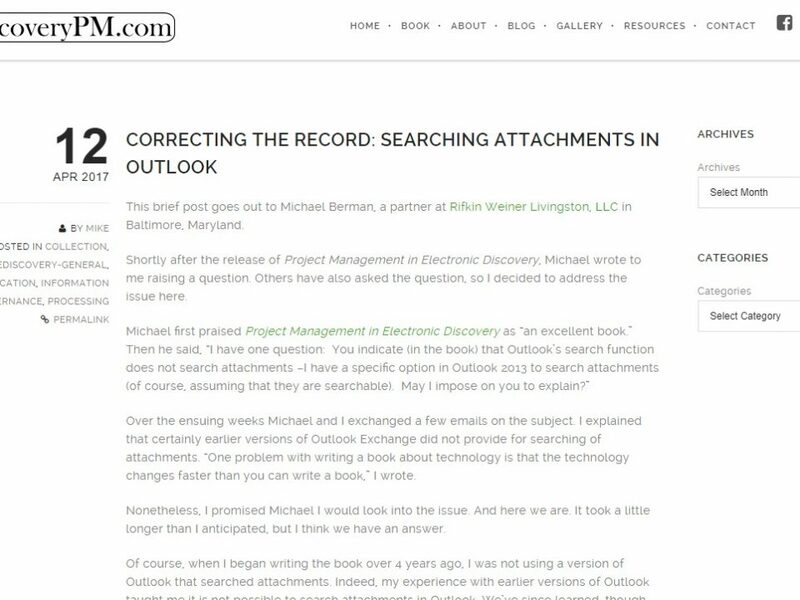 There are minor modifications in this post and the original may be found by clicking Book Review: Zubulake’s e-Discovery. Monica Bay, “Plaintiff Zubulake Publishes Book on Eponymous Litigation,” Law Technoloy News (July 26, 2012).